WAVE CATALYST, WAVE INSPIRE, & WAVE RIDER! Everyone is welcome! Bring a friend! Need a new pair of shoes for spring training? Our Mizuno Rep. will be on-hand to introduce the latest Mizuno products and answer all your questions. Even better, you'll be able to test run the shoes. We'll have some free giveaways & light refreshments. If you decide to buy, there will be a Mizuno gift with purchase. All that & a Thursday night fun run!!!! 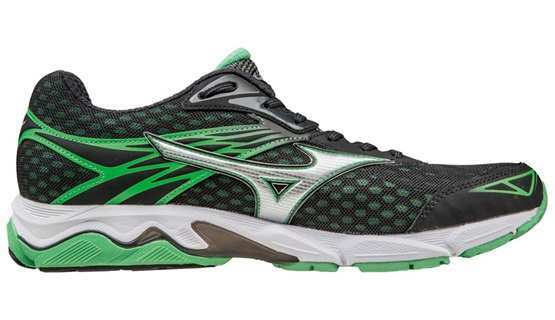 Mizuno’s all new Wave Catalyst is in stores and ready to run. This lightweight, mild-stability shoe is the perfect everyday fast shoe for runners who need a little support underfoot. If you remember the Wave Elixir from a few years ago, you’ll recognize a few features in the new Wave Catalyst including the Fan Wave uniquely designed to guide the foot in an ideal path. The Catalyst also have some new features including a U4ic midsole for a comfortable, responsive ride, a 10mm offset to accommodate heel and midfoot runners, and blown rubber in the forefoot for improved durability and a soft feel. Often times runners who need a stability shoe are hard-pressed to find a lightweight trainer to use every day or even just for speed workouts. The Catalyst is the perfect option, especially if you already run in the always-popular Wave Inspire. Featuring a lower offset than the typical stability trainer, and tipping the scales at just 9.4oz (men’s 9) & 8.0oz (women’s 7), this shoe is sure to be a game-changer for Mizuno fans.